The UV- and weather-resistant coating ensures a uniform, long-lasting finish that harmonises with the roof colour. The sheets are supplied with a two-colour coating so that they can be laid on either side. 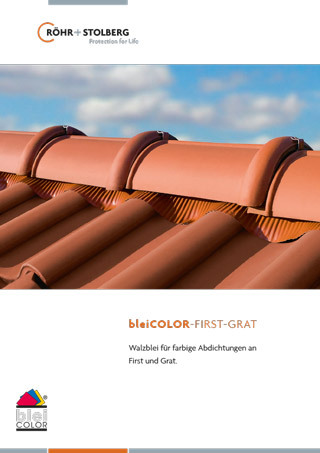 bleiCOLOR Dry Ridge Vent Roll thus perfectly complements the classic bleiCOLOR and its self-adhesive variant bleiCOLOR-SK. 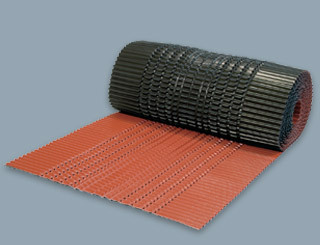 Like all lead sheet products from Röhr + Stolberg, bleiCOLOR Dry Ridge Vent Roll is manufactured from recycled lead and is ideal for recovering.